Tonight I began translating the Gelasian Sacramentary (a digitised version is here). Given that a. my current research is into sixth-century Greek & Syriac saints’ lives and b. my future research is into fifth-century papal correspondence, this project will take a while. Nevertheless, I believe a translation of this sacramentary is a worthwhile and important object — and not only of this sacramentary but of the Leonine and Gregorian Sacramentaries as well. Why? I’ve been thinking about the (New) Liturgical Movement — the move for modern liturgies that began in the 1960’s and has given us the Book of Alternative Services (BAS) for the Anglican Church of Canada, the Alternate Service Book and Common Worship for the Church of England, the Novus Ordo for Roman Catholics, similar liturgies for Lutherans (Book of Worship? ), a host of prayer resources such as Celtic Daily Prayer or Celebrating Common Prayer, and a proliferation of liturgies for special occasions or individuals at the local church or small group level. And the Taizé office and music. All of this is well and good, although sometimes I have my reservations about particular moments in the Liturgical Movement. One of the reservations I have is that sometimes the Liturgical Movement, like the evangelical equivalent of Contemporary Worship, does not drink deeply enough. Edith M. Humphrey, before she became Eastern Orthodox, recommended that writers of new songs of worship begin by drawing on the Psalms. I would echo that, calling them also to immerse themselves in the old hymns both musically and textually for a while. For the liturgists, an immersion in the Psalms would be helpful. Also helpful would be the vast resources of the ancient and mediaeval church. For the liturgical reformers of the fifteenth through seventeenth centuries, this was a real possibility. Men like Quignon, Luther, Cranmer, and the editors of the 1570 Roman Missal, all knew Latin and probably Greek as well. This meant that as they sought to reform the liturgy, they had access to centuries of liturgical writing, and we can see that Cranmer certainly put this to good use in his famous Collects that draw heavily upon the Gelasian and Gregorian Sacramentaries and his daily office includes a prayer from the Divine Liturgy of St. John Chrysostom (which, incidentally, is also present in that of St. Basil the Great). Today’s liturgists, be they clergy or worship leaders or diocesan committees or church-wide committees often lack this knowledge of obsolete languages. Thus, it is harder for them to drink deeply as did their forebears. One result is collects that aren’t even properly collects, for example (as lamented somewhere on Liturgy). 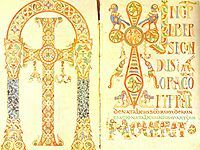 Accessible translations of ancient and mediaeval liturgical texts is a worthy endeavour. As you can see, I have already done some of this with the Mediaeval Wedding and the Mediaeval Vespers (both Sarum Use). More needs to be done, for although the Sarum Missal has been translated into English (here for the Mass, here for the book on Amazon), the Sarum Breviary has not (at least, not in its entirety). I believe that translations of liturgical texts from the long and venerable tradition of western liturgy would be a blessing to the Liturgical Movement. What do you think?